I already had the concept of "little castles from different subthemes" last year, but I didn't have the time to build it. Not long ago, I realised that the Yellow Castle will be 40 years old in 2018. 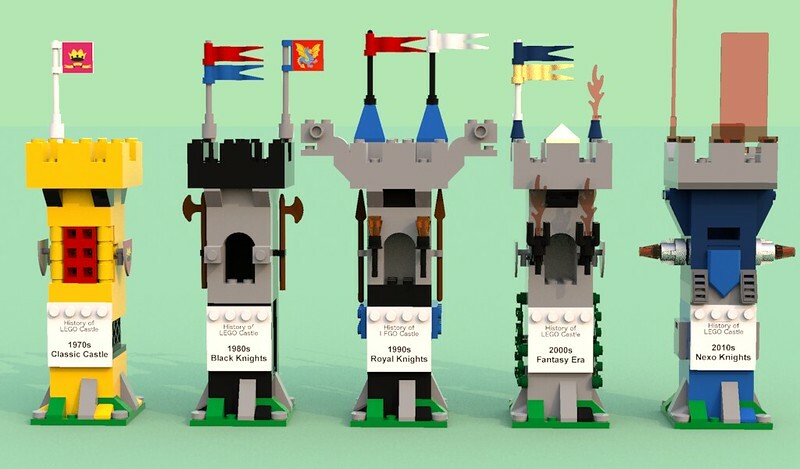 I've put the two things together, and created a Lego Ideas project to commemorate this anniversary of the Castle theme. The concept of this MOC is similar to the 4002016 set: recreate some of the iconic castles of the Lego Castle history in smaller size. 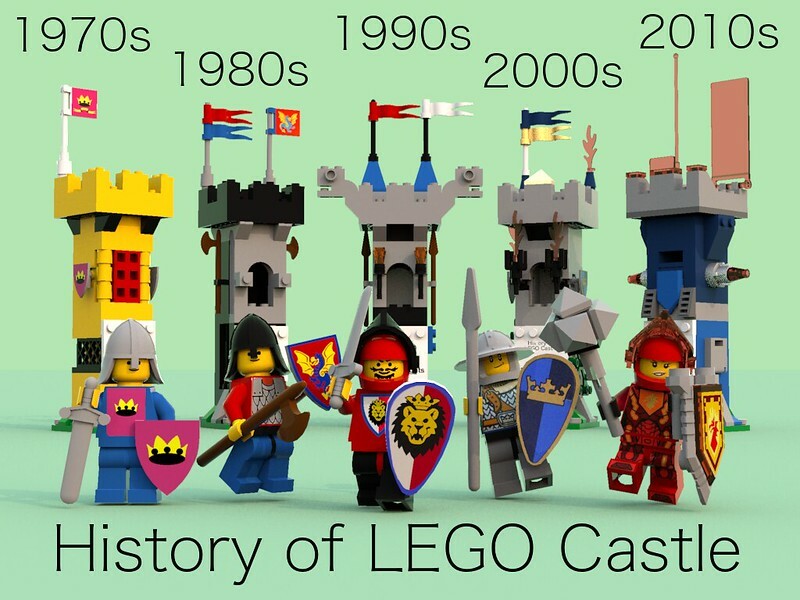 I've chosen a castle set from each decade from the 1970s to the 2010s and created a little tower that resembles that set. It was built in LDD and rendered in Bluerender. It was the first time I tried Bluerender, and I'm quite satisfied with it, but the texturing of the missing minifig and shield decals was pretty time consuming. Wonderful MOC. I love the subtle details in each build, including even the change in torch styles between the 90's and 2000's. Almost forgot that the Yellow Castle turns 40 next year, I hope they'll make a set to commemorate it. The designers of the theme have confirmed it as such. What about Knights Kingdom 2? The main concept for this MOC is one tower per decade. Although I also like the amazing technicolor knights of Knights Kingdom 2, I think that Fantasy Era has a better concept with its fantasy elements, so I've chosen that for the 2000s.